Srinagar: Indian and Chinese troops held a ceremonial border personnel meeting (BPM) in Jammu and Kashmir's Ladakh on the occasion of the Baisakhi festival, a defence official said. 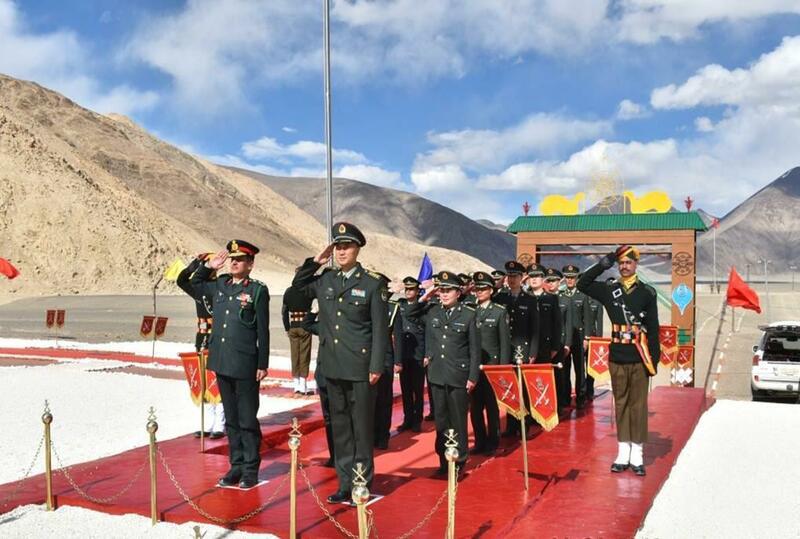 "A ceremonial BPM on the occasion of Baisakhi festival was held today (Sunday) at the Indian BPM huts at Chushul-Moldo and Daulet Beg Oldi-Ten Wen Den Meeting Points in eastern Ladakh," Defence Ministry spokesman, Col. Rajesh Kalia, said in a statement. The Indian delegation was led by Brig. V.K. Purohit and Col. Prashant Rana and the Chinese delegation by Senior Col. Yin Hong Chen and Col. Song Zhang Li. "The ceremonial BPM commenced with saluting the respective National Flags by the delegation members. This was followed by a ceremonial address comprising of exchange of greetings, wishes and vote of thanks," the statement said, adding the address "reflected the mutual desire of maintaining and improving relations at the functional level". Both the delegations interacted in a free, congenial and cordial environment, the statement said. "The delegations parted amidst a feeling of friendship and commitment towards enhancing the existing cordial relations and maintaining peace along the border. Both sides also sought to build on the mutual feeling to maintain peace and tranquility along the border," it added.